If you’re looking to purchase a new mattress, you might be overwhelmed with the amount of options you have. 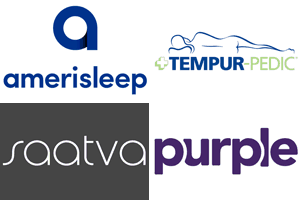 There are plenty of modern mattress providers aiming to target people looking to upgrade their sleeping arrangements. Instead of spending thousands of dollars, you can spend a relatively small amount to obtain a luxury mattress. There are plenty of luxury mattresses available on the market – it used to be only a few brands. Restonic is a company that has been making significant waves in the industry in recent years. They provide a range of different mattress points at much lower price points than many of the titans in the industry. If you’re someone who wants to take advantage of a coil, hybrid, or latex mattress, you’re sure to find something at Restonic. 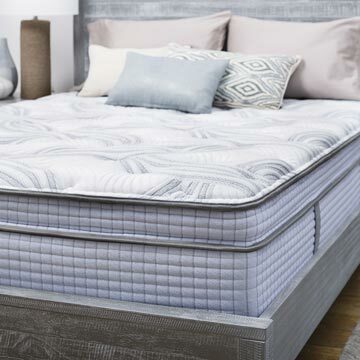 For the purpose of this review, we will be taking a deeper look at the most popular of the Restonic Mattresses – the Scott Living mattress. This mattress is endorsed by Jonathan and Drew Scott – two famous contractors and interior designers. This mattress is made using MircoCoils. If you’re thinking of purchasing this mattress, this mattress review is exactly what you’re looking for. Make sure to take in all the information before making any purchasing decisions. It’s always important to understand the way that your mattress is constructed. If you don’t understand how your mattress is made, you won’t understand how the different components provide comfort and support. The Scott Living mattress is one of the most advanced mattresses on the market – this comes down to the way the mattress was made. If you’re looking for a mattress that takes advantage of micro coils and a range of different materials, this might be the mattress for you. In this section, we’re going to take a deeper look at the different components of the Scott Living mattress from Restonic to help you get a better understanding of what you’ll be purchasing. Check it out below. 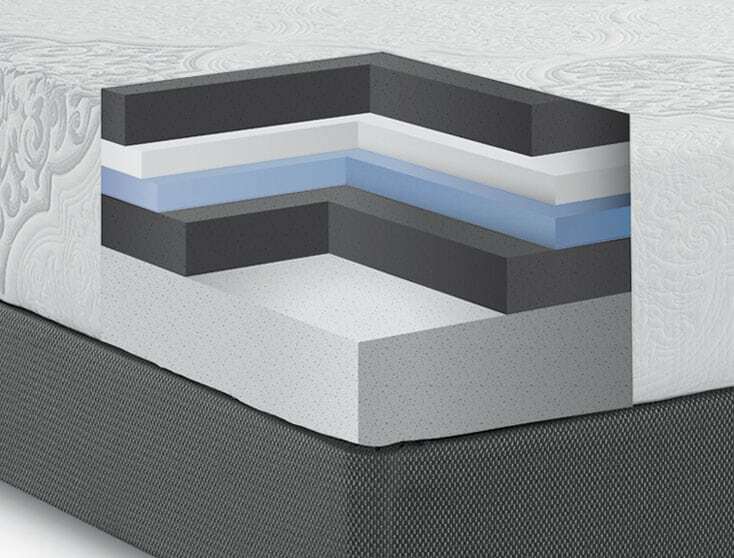 The Scott Living mattress from Restonic Mattress is made from a system of different layers. These layers provide different levels of support and comfort throughout. It’s safe to say that this is a hybrid mattress – it utilizes a range of different materials to provide an optimal sleeping experience. Below we will take a look at each layer so you can better understand what is used to create this unique mattress. This top layer is in place to provide you with as much comfort as possible. It is made from AlumiLast foam – a foam that has aluminum infused into the cell structure of the foam to provide you with as much comfort and airflow possible. It’s safe to say you won’t find this unique material in any other mattress. The middle layer provides support and transition to the base layer. It is made from 1,300 individually wrapped coils. This provides a durable support system for the rest of the mattress, as well as plenty of comfort for the person sleeping on it. Another layer of support coils that’s called Q5 Twin Support – it’s a Restonic technology the ensures the mattress has plenty of support from edge-to-edge. It provides support across five different support zones. This part of the mattress ensures there isn’t too much sinkage. 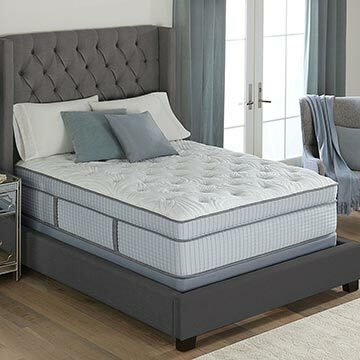 The cover of the Scott Living mattress is also made from a unique technology. Restonic’s ‘Cool’ cover provides as much breathability as possible. It doesn’t take away from the feel of the mattress and helps ensure that you get a good night’s sleep without overheating! The most important part of any mattress is how it feels – you don’t want to purchase a mattress that isn’t comfortable. There’s a high chance you’ll use your next mattress for at least a decade, so you need to be certain it’s the best possible choice for you and your partner. The Scott Living mattress from Restonic is extremely comfortable. The top foam layer provides contour and hug that makes you realize you’re sleeping on a luxury mattress. There’s also a great deal of support in the mattress – it comes in around a medium on our scale ranking. This means the mattress ranks at about a 6.5-7/10 in terms of support. This means that it’s a great support level for a person of normal weight. If you weigh over 220 lbs., you might need to find a mattress with a bit more support. If you’re someone who wants a mattress that doesn’t overheat, this is also a great option. The coil system allows air to flow through the mattress and reduce the chance of heat retention. The cover of the mattress is also designed to dissipate heat – it’s a great option for those who want something that allows for a cool sleeping experience. Restonic does not provide a lot of internal information about the changes in their mattresses. As a company, they tend to release a range of different mattress types. While some companies update their current mattresses with new features and materials, it’s safe to say that Restonic favors bringing out new lines and models. To keep tabs on their developments, check to see if they bring out any new mattress lines. You should never purchase a mattress based solely on the feel and support of the product. While this is certainly the most important component of any mattress purchase, you also need to consider the other features and benefits, as well as the strength of the company that you’re purchasing from. For example, if a company offers a long warranty, but they’ve only been around for two years, you won’t know if they have the strength to stay open long enough to fulfill your warranty. Because mattress companies are trying to differentiate themselves from one another, they often try and include hundreds of dollars in additional benefits to ensure they stand out from the crowd. This should always be an important component of your decision. It’s also important to be aware of these issues as you will want to take advantage of any benefits you’re offered – if you’re ignorant to them, you might not be able to get the most out of your mattress. This section overviews all the additional benefits included with your mattress. It’s the best way to get a true feel for how much value you’re getting from your mattress. If you’re someone who is trying to truly find a good deal – make sure to read all the points in this section. As you will see, some of the benefits offered by Restonic can be somewhat confusing, so you need to be comfortable with them. Read on! One of the primary benefits you’re offered through Restonic is the ability to go check out their mattresses at showrooms across the country. Restonic uses a network of retailers to distribute their mattresses. While many new companies in the mattress market only ship their products, Restonic allows you to see their mattresses and make decisions. There are a variety of different companies that provide Restonic mattresses. The best part is that each retailer will have their own benefits and features – you might be able to take advantage of certain promotions or sales if you choose to work with a specific retailer. You can also head in and lie on one of the mattresses if you want to make sure it’s as comfortable as you want it to be. With the amount of mattresses currently available on the market, it’s rare that you’re able to find one that has won legitimate awards. Fortunately for you, the Scott Living MicroCoil has received nationally recognized awards. The most pronounced of the awards won by the mattress is the Women’s Choice Awards. Scott Living MicroCoil mattress has won the award from 2011-2018 – the award means that 9 out 10 owners recommend the mattress for purchase. If you’re looking for a mattress that has a great reputation with consumers and award givers, it’s safe to say that this is a decent option. One of the major downsides to the Scott Living MicroCoil from Restonic Mattress is the warranty is quite complicated. The warranty periods depend on the type of mattress you purchase and you need to use your retailer as the first point of contact for the warranty. Some warranties may also be limited to certain faults in the product. Most warranties are between 10-20 years, which is better than the industry standard. Before you purchase a mattress from this company, you need to be certain what it includes and how long it’s for – you don’t want to be in a position where you can’t return the mattress if there is a problem with it. This lack of clarity is another reason you might prefer another mattress provider – many of them are more straightforward with the mattress warranty policies they have. Many modern mattress companies allow for trial periods with mattresses. This is largely due to the fact that many mattress providers only ship their products – without a showroom they need a way to tell their customers they can try the product risk-free. Because Restonic has showrooms, there isn’t this same advantage. If you’re wondering why the mattress has such a weird name, it’s because it’s endorsed by a celebrity design show that promotes fashionable building and interior design. The show is hosted by Jonathan and Drew Scott – Canadian brothers that have established themselves as some of the top designers on television. They also run a blog/website that is named ‘Scott Living’ – this website is devoted to their personal style and brand. They promote products and designs that are in line with what they promote through their show. This mattress is endorsed by their brand. If you’re someone who is a fan of the show and their taste, you might enjoy this mattress more than most! Unlike many modern mattress providers, which typically have one or two mattress options, Restonic has plenty of options available to you. They have mattresses made from a variety of different materials that can meet different comfort points and different support levels. If you think this isn’t the right mattress, there’s sure to be one from Restonic that suits your preferences. As long as this mattress company is within your price range, and you can deal with the vague benefits available, this is a solid avenue to take. In addition to the mattress, you are also offered the ability to purchase a base that is custom to the mattress. While you might be able to find your own base for a cheaper price, it’s nice to know there’s a solid option on the table if you need something that fits the mattress perfectly. Take a look at their base options if you want to purchase one along with the mattress. Keep in mind these may depend on the retailer that you’re using to purchase the mattress. Should I Buy the Restonic Mattress? Purchasing a new mattress can be a stressful experience. To find the best mattress for yourself, you need to think about what you’re looking for from a mattress. You should also think about all the different benefits you can get from the mattress. Lastly, you need to compare the mattress against the price and quality of other mattresses on the market. There’s no doubting that Restonic’s Scott Living MicroCoil Mattress is a mattress of serious quality – you can tell it’s a luxury mattress from the minute you lie on it. If it’s a mattress that you can afford, it’s definitely a decent option. The major downside of Restonic’s mattress is the fact that there aren’t as many clear benefits included with your purchase. For example, the warranty is quite complicated and the trial period depends on the retailer you work with. In addition, the company does not offer much information on the construction process of the mattress. If you don’t think this is the right mattress for you, there are plenty of other options on the market. You should never rush into a purchase – check out some of the other reviews on our site if you’re unsure.